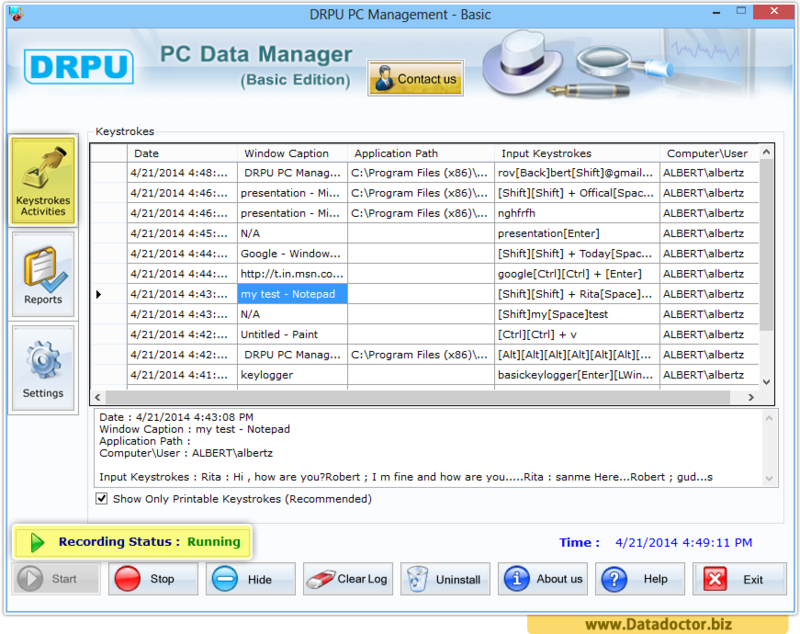 Data Doctor KeyLogger Software for monitoring your home or office PC is easy to use solution for your computer safety. Specifically designed to securely and safely monitors system activities and allow viewing what your children, family members or employees are doing on the computer in your absence. 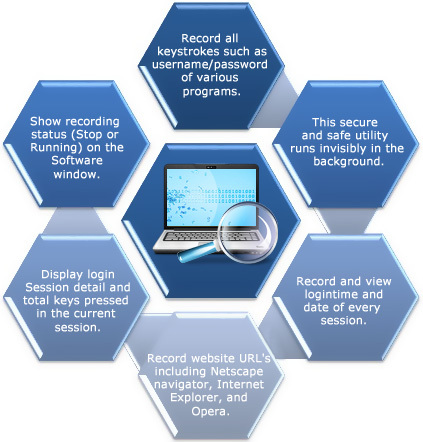 Hidden key board strokes recording software can secretly record all type of key strokes including email IDs, passwords, chat conversations, typed documents and other keyboard typing activities in a hidden password protected and encrypted log file. This highly secure application invisibly logs and systematically records all keystrokes on your machine and the time they were made and the application where they were entered. It automatically records all typed emails text, chats conversations, website visited, password and documents lists opened anywhere in the system. 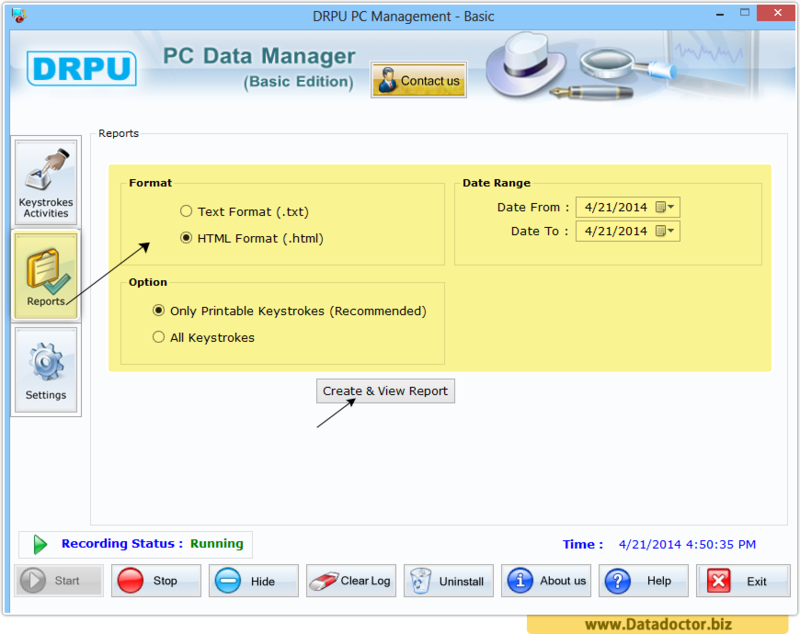 Install and Run Keylogger Software to start monitoring all keystrokes on your computer system. 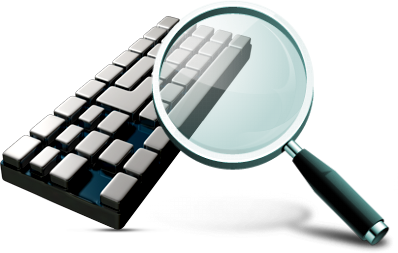 Generate report of keystrokes either in Text or HTML file format with Date. Click on Settings button to select options from General Settings, Email Settings and Security Settings Tab accordingly.